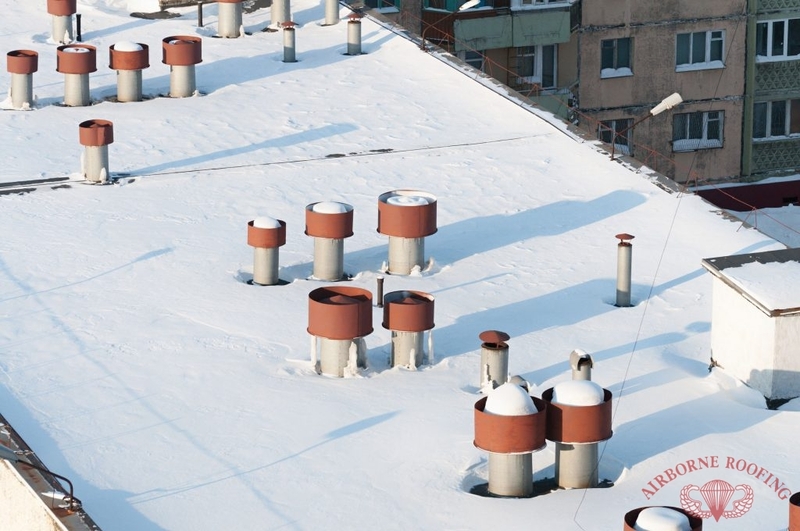 To Keep Your Energy Costs Low, Take A Look At White Rubber Roof Coatings from Airborne Roofing. An acrylic-based, elastomeric white rubber roof coating is exceptionally durable and carries enhanced reflective properties than a standard roof coating to help insulate and keep energy costs low. A white rubber roof coating is applied smoothly to your flat roof or metal roof, and creates an energy-saving membrane on top. To see firsthand the benefits of a white rubber roof coating, contact us (856) 662-1382 to speak to our roofing experts about white rubberized roof coatings in Berlin and Cherry Hill, NJ. A White Rubberized Roof Coating Is Ideal For Metal Roof And Can Be Applied With Airborne Roofing. 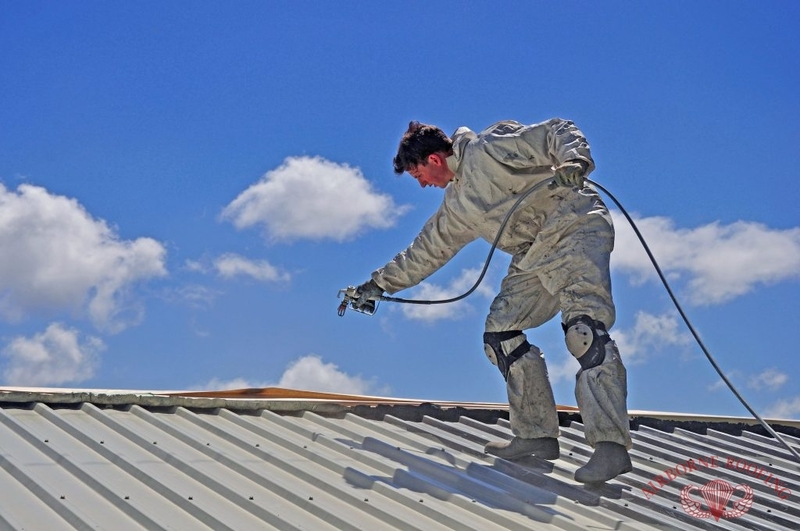 While the additional layer of protection is ideal for most commercial property owners, a white rubber roof coating is not recommended or ideal for roofs that have PVC or shingles attached, as it will not adhere correctly. Application is done one of two ways: through spray or by rolling on the white rubber roof. The ideal surface for application is in a warm, dry outside environment with no risk of severe upcoming weather. The roof surface should be free of dust and debris. Temperatures should be expected to stay above 50 degrees for two consecutive days after installation for the coating to set properly. Between the standard two coatings, a wait period of 4-6 hours is necessary to allow the first base of the white rubber roof coat to set before the final layer is applied, to ensure the ultimate seal on top of the roof. There is no dilution necessary for both spraying and rolling the white coating, and both services are available at Airborne Roofing. A white rubberized roof coating protects your commercial property against the elements, and helps safely guard against ponding water, mildew and algae that can form. For quality roofing you can see and trust, contact us (856) 662-1382 to get started on your white rubber roof coating in Berlin and Cherry Hill, NJ. Always affordable and fully insured, we’ve been serving all of South Jersey since 1968! Updated on September 21, 2018 at 2:45 pm by Airborne Roofing.